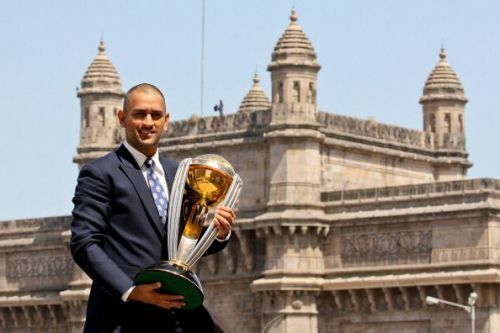 MS Dhoni is considered to be the greatest limited overs captain. Unlike football, where the role of a captain is minimal as the coach/manager governs the game-play from the sides, Cricket is a different ball-game altogether. In cricket, the captain's role is of paramount importance. It's always the captain's side as they say. He is the key member in winning battles. The captain has a big say in the playing XI, when and who will play and makes all the important tactical moves on and off the field. However, the coach can only assist him or train him to an extent, but the final decision always remains with the captain. The coach never decides the fate of the captain, but the vice-versa however is true to an extent (Kohli-Kumble saga). Even when MS Dhoni was rested from the T20 side in 2018, Virat Kohli and Rohit Sharma were present at the selection committee meeting. For that instance, when India used the rotation policy down-under, back in 2011-12, it was Dhoni's call (the then captain) to rest a certain Sachin Tendulkar. But in IPL the authority is in different hands as revealed by Sourav Ganguly, the former Indian skipper in his book, 'A century is not enough'. Sourav Ganguly had just retired from first-class cricket and was back for season 2 of the IPL. He captained the side in the first season leading Kolkata Knight Riders to a great start, eventually faltering in between, losing players to various international commitments. John Buchanan was the then coach for KKR and had already decided to sack Kolkata's most loved Prince from the leadership role. 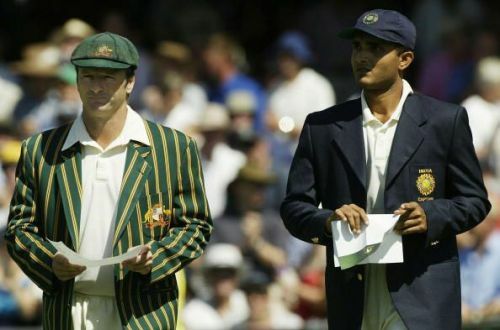 The only captain who gave the legendary Australian side a run for their money. "I did not know whether the owners had any idea about this but they had entrusted the entire responsibility to the coach who had clearly made up his mind"
"In running a national team it was unthinkable that a coach would decide the captain's fate. Even someone as powerful as Chappell needed the approval of the selectors. Again, IPL was different", Ganguly said in his book. John Buchanan decided to appoint four captains for KKR, a thing unheard of in cricket. Brendon McCullum was appointed the official skipper for the season. But along came three other off-field captains in Matthew Mort, Andy Bichel, and John himself. They would sit in different areas of the stadium. One behind the sight-screen. One went to point. The third sat near the pavilion. They had four walkie-talkies and constantly shared inputs. McCullum had to look at one of them to take instructions. "Ashok Dinda, our pace bowling spearhead, would go back to the top of his bowling mark, wait for a fraction of second to get a signal and only start his run. I found this almost unbelievable", said Ganguly. Gayle in his own style and swagger laughed it out, "I think we are headed for a disaster". Even after the toss, McCullum had to go back to the dressing room to confirm the batting order. It was bizarre and something the players felt was uncanny. The franchise was staring down the barrel and was heading for a disaster. Soon, the management realized that this was unsettling the players. John was sacked in the following season and he wasn't even invited to India to present his case to the management. Ganguly later went on to lead the Pune Warriors India after a stint of three years with the Kolkata Knight Riders. He later revealed in his book about how the auction process goes around. Saharashri Subrata Roy was the owner of the Pune franchise. Ganguly had made up his mind as in who he wants in the side. He also had extensive discussions with the coach and was set for the auction. Few hours before the auction, he was informed that a decision has come from the boss and the skipper won't participate in the auction. It came in as a shock to Ganguly, who after all these years was still trying to adjust in the franchise setup. He pleaded with the boss but was left utterly disappointed. Soon after, one of India's most loved captain realized that the franchise cricket isn't for him. He already has an illustrious career behind him, a career that he and any Indian would be proud of. He decided to call it quits and currently, he is appointed as the President of the Cricket Association of Bengal and President of the Editorial Board with Wisden India. For all the cricketing fans, if you haven't read this book, please do. It is not one of those politically correct books. It comes straight through the heart and also has a full detailed chapter dedicated to Mr Greg Chappell.